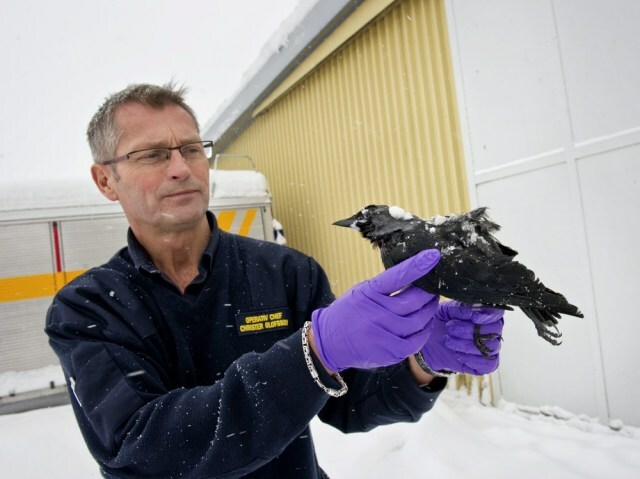 Rescue Chief Christer Olofsson holds a dead bird in Falkoping, Sweden on Wednesday. Residents of the Swedish town found 50 to 100 dead jackdaws on a Falkoping street. An investigation is currently underway to determine the cause of death.